Condor enjoying a light lunch at La Cenia with a He 45 B reconnaissance aircraft in tl background. Second from the left is Obit. Eduard Neumann (2 victories), fourth from the left is the Gruppenkommandeur of J/88, Hptm. Gotthard Handrick (5 victories) with Obit. Eberhard von Trutzschlcr-d'f-lsa sixth from the left. s horn in 1911 in Austro-Hungaria, in an area which was later seeded to Romania. . My soldier father was killed in 1914, and my mother died the same year, so I was brought up by my grandparents. I moved to Berlin in order to study and quickly became fascinated with aviation. I soon learned to fly, receiving my pilot ccrtificatcs in 1932.At that time, I took any opportunity to fly, taking part, for example, in oil prospecting and towing advertisements with my aircraft. In 1934 I entered the Luftwaffe, which was then known by the cover name of the "Deutsche Verkehrs Fliegerschule". "I went to Cottbus in order to gain my ccrtificatcs, but also joined the infantry to bccome a soldier. In 1935,1 was transferred to Schleissheim where I began training as a fighter pilot. Here I met several men who were to bccomc famous in later years such as Trautloft, Schlichtung and Liitzow, all of whom were already experienced commanders.After three months,! was posted to II./JG 132 "Rlchthofen" at Jüterbog-Damm where my Kommandeur was Major Raithcl and my Staffelkapitän was Hauptmann von Schönebeck.Adolf Galland was in the Gruppenstab.The Gruppe had its origins in the "Reklamestaffela formation that taught army pilots under the guise of a civilian unit. Officially, their task was to tow advertising banners, but in fact they were training military pilots, their "towed advertisements'" being used as artillery targets! Our squadron at Jüterbog was fully operational, flying He 51s. "At the end of 1935,1 was callcd back to the infantry at Leipzig in order to receive officer training. I remained there until the autumn of 1936 when I transferred to fagdgruppe Bernburg, being assigned to Schcllmann's Staffel. At that time I was an Oberfähnrich (officer cadet). It was comic and often difficult, because with three other Oberfähnriche, we were the "fagdlehrer"(instructors) and had to teach officers (mainly Leutnante). "At that time, many pilots from our unit "abruptly disappeared".They were called to Berlin and we heard nothing more from them. In fact, even if it was not known officially, we all realised that they had been sent to Spain. One day, a Sunday, I was Officer in Service (Offz. vom Dienst), when I received an order to pack immediately and come to Berlin. I was alone. I went directly to the Ministry.Tlie most important thing for them was that I would have no time to speak with anyone else about this call. I was then informed that I would be sent to Spain. I rcccivcd orders to dicss in civilian cloilie», and was flown immediately to Rome in aju 52 with five other men that I had not previously met, probably technicians. From Rome, we flew to Sevilla. "Next morning, after my arrival in Sevilla, I was transferred to northern Spain where fagdgruppe 88 was based. I met my Kommandeur, Handrick and was posted to the 3■ Staffel under the command of Adolf Galland. Amongst my comrades were the future fighter aces, Ewald and Schlichting.The second Staffel, under Liitzow, was already equipped with Me 109s. We still flew He 51s. During my first operational flight over Asturia, on 4th September 1937,1 was flying behind Galland when I sighted a Polikarpov 1-15, and I shot it down. It was very hard to do that with a He 51, and it was the first claim of my Staffel. In the spring of 1938, Möldcrs succccdcd Galland in command of the 3■ Staffel, and shortly afterwards, I was posted to the Stab of J/88, where I often flew as Handrick's wingman. On 10 June 1938,1 scored my second victory, a Polikarpov I-l6.This gave me the same score as my Kommandeur. 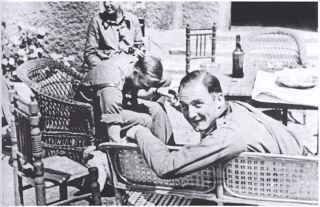 "I remained in Spain for one year, moving back to Bad Aibling in South Germany in the summer of 1938.1 was happy to see that I had received a large sum of money tor my service in Spain. 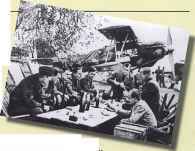 The complete Staffel at Bad Aibling, (under Oberleutnant Erich Gerlitz) was composed of Austrian pilots. Although I was officially German from 1934, I still remembered my Austrian origins, and was happily accepted by the unit. On 23 April, a relatively weak Nationalist force swung southwards, advancing on Valencia. Because of bad weather and a lack of supplies from Germany, which was then engaged in the entry into Austria, the advance was very slow and it was not until July that Nationalist troops neared the city. 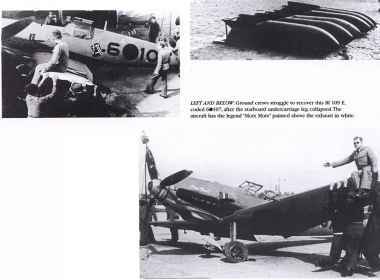 Sometime earlier, five of the new Bf 109 Cs had been delivered to the Gruppe which had now transferred to La Cenia. The new sub-type was powered by the Jumo 210 Ga engine with fuel injection and had an armament of four 7.9 mm machine-guns. On 18 May 1938, the commander of J/88, Hptm. Gotthard Handrick, claimed his only victory in Spain when he shot down an H6. Three other l-16s were claimed in a massive air battle by pilots of the 2. Staffel. Flying with them was Hptm. Harro Harder who had recently returned for his second tour of duty in Spain. With him he brought the twin 20 mm cannon armed He 112 V9. Six days later Obit. Werner Molders took over command of 3.J/88 from Galland which was still flying ground support operations with the He 51. Molders led his first operation against a heavily defended ground target on 31 May, but the aircraft piloted by Lt. Fritz Losigkeit was hit by Flak and he was forced to bale out. He came down in no-man's land and was captured by Republican forces. Two days later, Lt. Haupt was shot down by Flak, followed on 8 June by Lt. Erich Beyer, both flying He 51s. This led Harder, who wa» «KiUng commander of the Jagogruppe because Handnck was on leave, to ask for the temporary suspension of operations by 3. and 4.J/88. The two Bf 109 Staffeln continued operations however, five SB-2s being shot down on 2 June with four more Republican aircraft shot down on the 10th. By now the aircraft supply situation was becoming even more serious. Despite often having to fly ten sorties a day. l.J/88 only had four serviceable Messerschmitts and 2.J/88 seven. Towards the end of June, however, the first of a batch of the new Bf 109 Ds arrived, allowing 3.J/88 to re-equip with the type and bolster the forces of the other two Staffeln. At the same time, 4.J/88 was disbanded, its remaining He 51s being passed to the Nationalists.